Education is vital element for young children and youth to understand and grow in this competitive world, there are several youth unable to pursue their academics due to financial difficulties. there is also another side that is dragging them towards drug abuse and their talents are getting wasted and getting misused due to no proper support. some of them even turning into anti social elements. We all understand a House is only a physical structure and it becomes Home only when there a presence of a family. How many of you agree that there is only physical structure exist but no existence of a family in today’s world. Family brings along togetherness, love for each other, all together Life on this earth. Birth and Death is a Natural Process, the happiness that comes along with birth is phenomenal as well the agony when a death occurs. One can actually plan for the new coming but death never knocks before it enters. Life once gone is forever and departure of someone can bring along financial responsibilities in the family. Being away from home or where you belong is an extra burden one can expect to bear and for some it becomes unaffordable. Is the Poverty the core element for many can’t do which is the bare minimum necessity in anyone’s life. Is it the factor for young and talented unable to achieve what they wanted to in there life. Is it the one dividing people. May be there is Leonardo da vinci or a lionel messi or someone great in every child which need be brought out. 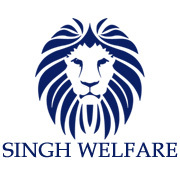 Singh Welfare is a non profit organisation, established to empower and support minorities in Hong Kong. Hong Kong has one of the widest rich-poor gaps in the world, and a large number of the poor are from ethnic minority origins. Singh Welfare aims to empower and support minorities in the city, and the poor are no exception. Singh Welfare shares deep concern for the poor and will do all they can for relief. Drug abuse has always been an issue in adolescents for years. The youngsters are easily influenced by peers and sometimes take a wrong path. Instead of persecution, these youngsters need help and care. Singh Welfare is there to protect these youngsters and give them all the help they need, to be their light in the darkness. Copyright 2015 singhwelfare.com - All rights reserved.